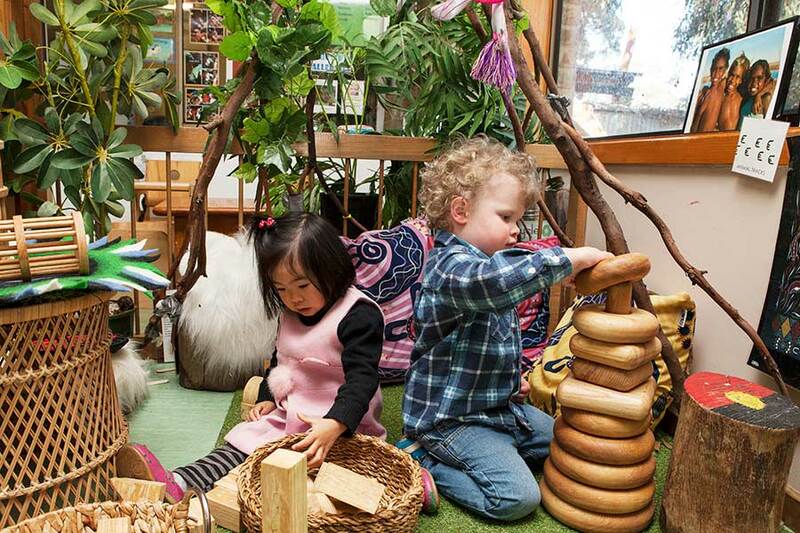 We'd like to share some information about our wonderful Childcare Centre and Kindergarten! Our centre is a non profit service where parent involvement is welcomed at management level thus all parents are reassured that like minded parents are working on their behalf to ensure all children are experiencing the highest quality of care and education. We believe children are too precious for profit. We are proud of our beautiful and natural environment, generous staffing ratios, creative programs, home dining experiences and high quality Rating and Assessment. Visitors are most welcome. Our priority is the care and education of our children and not how much money we make. Any profit that we make goes back into the centre through equipment, resources and staff training. We listen to our families and ensure that their feedback is acted upon. Our families guide our service. We are proud to employ experienced, mature and qualified staff who achieved a rating of Exceeding the National Quality Standard in the National Rating and Assessment process. We have twenty regular staff members who, on average, have worked at our Centre for ten years or more. We ensure that our staff have access to a broad range of training opportunities via different Universities, TAFE Colleges and peak industrial bodies. This guarantees their professional development is ongoing and will enhance their knowledge and skills. All staff absences are covered by another staff member with equal training. In some classes we are over qualified and staffed – we believe in delivering a quality service. Our staff also enthusiastically work with a range of other professionals, eg. 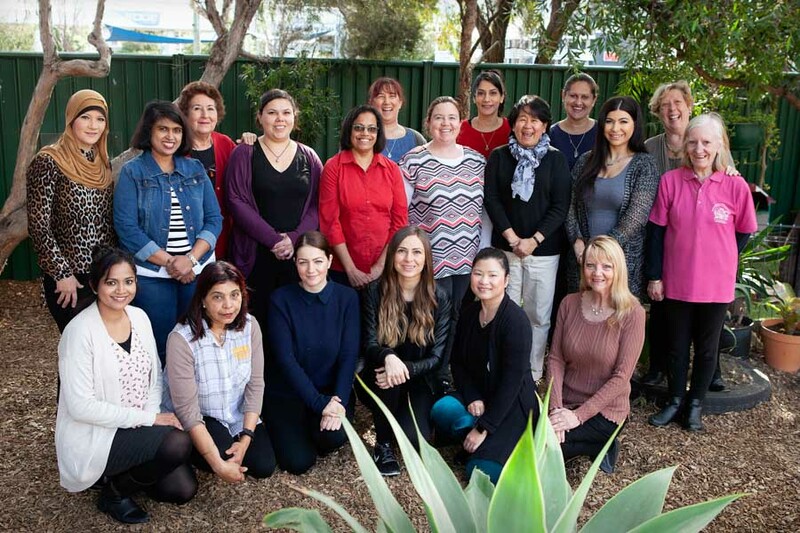 Speech Pathologists, Physiotherapists, to meet individual child needs if required. Staff work as a team with parents and other services supporting the child to experience the best possible care and education. We employ cleaners each evening to ensure our Centre sparkles for the next morning. We believe that the opportunity for parents to become involved in our centre is a vital element of quality care. At the same time, we recognize parents lead busy lives and at times, participation maybe difficult. Therefore we offer family participation in a variety of ways – involvement in the program, social events, education information sessions, management, and networking. We don’t hold fund raising activities throughout the year because that’s what parents have told us that’s what they want. We have one Working Bee per year and even that’s optional. We work in partnership with all parents by engaging them in the care and education of their child as high level decision makers. Our Centre promotes environmental educational through policy development, housekeeping practices, play experiences and purchasing of equipment and materials. We aim to educate parents, staff and children. We aim to purchase natural wood products rather than plastic ones as we believe in the importance of the message we are sending children and the values we are promoting. Whilst some chemicals are still used in the Centre we try to minimize this usage and instead use natural products, hot soapy water and recommended environmentally friendly products. Our centre provides each child with a variety of nutritionally based morning and afternoon teas and hot lunches that cater for a range of cultural and dietary requirements. All food is provided by our qualified and accredited cooks. Weekly menus have a balance of red and white meats, fish and vegetarian dishes. Milk and water are beverages served at each eating occasion and children may help themselves to water throughout the day. We endeavour to cater for special diets where we can. Our cooks are happy to consult with parents about any child’s dietary requirements and love to share recipes with all the families. Children love to smell the cooking aromas whilst our cooks prepare the meals each day. Our mealtimes are pleasant social events where children and teachers relax and chat about the days events. Our quality equipment is plentiful and purchased throughout the year, providing all children with learning opportunities for exploration, creativity and imagination. Children will develop new skills and consolidate those already learnt. Emphasis is placed on the use of re-cycled and natural materials and equipment, open-ended experiences and learning through play. We always aim to purchase re-cycled, re-purposed or natural wood products rather than plastic. Our Handyman repairs equipment and furniture, often with the help of the children. We want children to know these items can have a long life and should not just be thrown away once they are broken/damaged. Please come and visit us anytime – or, tours of the Centre are held Tuesday mornings and Thursday afternoons. Please phone and make an appointment time (9798 4633).